Black August is a month of great significance for Africans throughout the diaspora, but particularly here in the U.S. where it originated. "August," as Mumia Abu-Jamal noted, "is a month of meaning, of repression and radical resistance, of injustice and divine justice; of repression and righteous rebellion; of individual and collective efforts to free the slaves and break the chains that bind us." Black August International (2003) will not only honor our national freedom fighters in the "belly of the beast," it will celebrate the bicentennial anniversary of Haiti's Revolution, the first and only armed struggle whereby Africans liberated themselves from chattel slavery. It began in August of 1791 and ended in victory over Napoleon's crack troops in 1803 with the celebration of independence, January, 1804. Nat Turner's slave rebellion began on August 21, 1831, and Harriet Tubman's Underground Railroad started in August. As Mumia stated, "Their sacrifice, their despair, their determination and their blood has painted the month Black for all time." On this 24th anniversary of Black August, first organized to honor our fallen freedom fighters, Jonathan and George Jackson, Khatari Gaulden, James McClain, William Christmas, and the sole survivor of the August 7, 1970 Courthouse Slave Rebellion, Ruchell Cinque Magee, it is still a time to embrace the principles of unity, self-sacrifice, political education, physical fitness and/or training in martial arts, and resistance. How did the concept of Black August originate? The concept, Black August, grew out of the need to expose to the light of day the glorious and heroic deeds of those Afrikan women and men who recognized and struggled against the injustices heaped upon people of color on a daily basis in America. Black August represents the defining of socialist economics and ethics as applied to transforming the decadent social values of capitalist America and the people who suffer under and from the ill effects of these destructive values. One cannot tell the story of Black August without first providing the reader with a brief glimpse of the "Black Movement" behind California prison walls in the Sixties, led by George Jackson, W. L. Nolen, Hugo Pinell, Kumasi, and many other conscious, standup brothers. "...when I was accused of robbing a gas station of $70, I accepted a deal...but when time came for sentencing, they tossed me into the penitentiary with one to life. That was 1960. I was 18 years old. I've been here ever since. I met Marx, Lenin, Trotsky, Engels, and Mao when I entered prison and they redeemed me. For the first four years I studied nothing but economics and military ideas. I met black guerrillas, George "Big Jake" Lewis, and James Carr, W.L. Nolen, Bill Christmas, Tony Gibson, and many, many others. We attempted to transform the Black criminal mentality into a black revolutionary mentality. As a result, each of us has been subject to years of the most vicious reactionary violence by the state. Our mortality rate is almost what you would expect to find in a history of Dachau. Three of us [Nolen, Sweet Jugs Miller, and Cleve Edwards) were murdered several months ago [Jan. 13, 1969] by a pig shooting from thirty feet above their heads with a military rifle." In what has been described by witnesses as a setup, eight White prisoners and seven Blacks were sent to the yard in Soledad Prison whereupon the Whites attempted to take the basketball court from the brothers already on it. 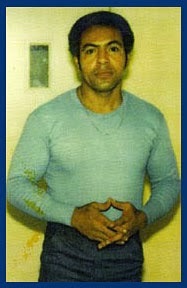 Nolen was known as the Marvin Haggler of the prison system, fearless and skilled, he was rarely challenged one on one. But on this day, one of the Whites attacked him and before Nolen could even hit back, he was shot. When Miller and Edwards tried to aid him, they were likewise shot by the lone White tower guard and left to bleed to death from wounds they could have survived. The Black Movement prisoners demanded the guard be tried for murder but were met with resistance. Upon their continued insistence, the administration held a kangaroo court and three days later, the Monterey Grand Jury returned a verdict of "justifiable homicide." Shortly after this was announced on the prison radio, a white guard was found beaten to death and thrown from a tier. Six days later, three prisoners were accused of murder, and became known as The Soledad Brothers. "I am being tried in court right now with two other brothers. John Clutchette and Fleeta Drumgo, for the alleged slaying of a prison guard. This charge carries an automatic death penalty for me. I can't get life. I already have it." 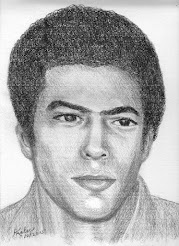 On August 7, 1970, just a few days after George was transferred to San Quentin, his younger brother Jonathan Jackson, 17, invaded Marin County Courthouse single-handed, with a satchel full of handguns, an assault rifle and a shotgun hidden under his raincoat. (We have since learned he was not supposed to go it alone.) "Freeze!" Jonathan commanded as he tossed guns to William Christmas, James McClain, and Ruchell Magee, "We're taking over." Magee was on the witness stand testifying for McClain, on trial for assaulting a guard in the wake of a guard's murder of another Black prisoner, Fred Billingsley, beaten and tear gassed to death. A jailhouse lawyer, Magee had deluged the courts for seven years with petitions contesting his illegal conviction in 1963. The courts had refused to listen, so Magee seized the hour and joined the guerrillas as they took the judge, prosecutor and three jurors hostage to a waiting van. To reporters gathering quickly outside the courthouse, Jonathan shouted, "You can take our pictures. We are the revolutionaries!" Operating with courage and calm even their enemies had to respect, the four Black freedom fighters commandeered their hostages out of the courthouse without a hitch. What they failed to anticipate was the State's willingness to sacrifice its own people to stop the escape. Jackson's plan was to use the hostages to take over a radio station and broadcast the virulent, racist, murderous prison conditions and demand the immediate release of The Soledad Brothers. But before Jonathan could drive the van out of the parking lot, the San Quentin guards had arrived and opened fire. When the shooting stopped, Jonathan, Christmas, McClain and the judge lay dead. Magee and the prosecutor were critically wounded, and one juror suffered a minor arm wound. Magee survived his wounds and was tried originally with codefendant Angela Davis. Their trials were later severed and Davis was eventually acquitted of all charges. Magee was convicted of simple kidnap and acquitted of the more serious kidnap-for-extortion charge by a jury whose acquittal was buried. Magee has challenged this coverup for decades with a notarized declaration from the jury foreman, Bernard Suarez He is also challenging the CDC regarding parole. After 40 years of unjust incarceration, he wants nothing short of discharge so he can return to his home state of Louisiana. "International capitalism cannot be destroyed without the extremes of struggle. The entire colonial world is watching the blacks inside the U.S., wondering and waiting for us to come to our senses. Their problems and struggles with the Amerikan monster are much more difficult than they would be if we actively aided them. We are on the inside. We are the only ones (besides the very small white minority left) who can get at the monster's heart without subjecting the world to nuclear fire. We have a momentous historical role to act out if we will. The whole world for all time in the future will love us and remember us as the righteous people who made it possible for the world to live on. If we fail through fear and lack of aggressive imagination, then the slave of the future will curse us, as we sometimes curse those of yesterday. I don't want to die and leave a few sad songs and a hump in the ground as my only monument. I want to leave a world that is liberated from trash, pollution, racism, nation-states, nation-state wars and armies, from pomp, bigotry, parochialism, a thousand different brands of untruth, and licentious, usurious economics." (Soledad Brother: The Prison Letters of George Jackson). "...Failure to understand the radical, encompassing viewpoint in the sixties led to reformism. In effect, the majority of the left completely deserted any attempt at the radical balance required of the politically conscious, leaving only liberalism and its narrow vision to flourish." "Reformism is an old story in Amerika. There have been depressions and socioeconomic political crises throughout the period that marked the formation of the present upper-class ruling circle, and their controlling elites. But the parties of the left were too committed to reformism to exploit their revolutionary potential." We witnessed the so-called healthcare reform of the first Clinton Administration. In a nutshell, there were approximately 37 million people without health insurance in 1992; there are currently well over 44 million and climbing as the insurance industry continues to profiteer from our most basic need for medical care, while Medicare and Medicaid are threatened with privatization and prescription drugs are out of control. "Welfare Reform" has resulted in "Welfare DEform" as the social safety net is unraveled and homelessness is institutionalized. While our taxes are spent lavishly for a bloated military ($400 billion plus! ), health care, housing, child care, food stamps, and jobs disappear; and factories and plants are located behind prison walls. California spends about $49,000 per year to incarcerate one prisoner. It spends about $7000 to educate one student. And so we have it today, more obvious, much more blatant in the ghettoes and barrios -- a form of fascism that has replaced gas ovens and concentration camps with death rows and control-unit torture chambers; plantations with prison industrial complexes deployed in rural white communities to perpetuate white supremacy and Black/Brown exploitation. An obscene concentration of wealth at the top with one percent owning more wealth than 95% of the U.S. population; individuals so superrich their wealth exceeds the total combined budgets of scores of nations -- as they plunder the globe in the quest for more. At the time Jackson wrote those words (1970), he was facing a mandatory death sentence even if only convicted of assaulting a guard (Ca. Statute 4500), and was already in solitary confinement where he spent most of the 11 years of his incarceration. Although that particular law and the indeterminate sentence are no longer on the books, the spirit of the law is being implemented through the no-parole policies of Republicrat Gov. Grey Davis and a death row that now totals over 600 human beings slated for state murder. Nationwide, the figures are about 3600. On August 21, 1971, in what was described by prison officials as an escape attempt, George Jackson allegedly smuggled a gun into San Quentin in a wig. That feat was proven impossible, and evidence subsequently suggested a setup designed by prison officials to eliminate Jackson once and for all as they had tried numerous times. However, they didn't count on losing any of their own in the process. On that fateful day, three notoriously racist prison guards and two inmate turnkeys were also killed. According to an eye witness, when Jackson was shot while running on the yard, he got up instantly and dived in the direction of some bushes. He was subsequently murdered while lying on the ground wounded. Six Black prisoners were put on trial -- wearing 30 lbs of chains -- in Marin County Courthouse charged with murder and assault. Fleeta Drumgo, David Johnson, Hugo L.A. Pinell (Yogi), Luis Talamantez, Johnny Spain, and Willie Sundiata Tate. Only one was convicted of murder, Johnny Spain. The others were either acquitted or convicted of assault. Pinell is the only one remaining in prison; all the others were released years ago. But Yogi has suffered prolonged torture in lockups since 1969, and is currently enduring his 13th year in Pelican Bay Bay's SHU. He remains amazingly strong and revolutionary. Let us continue to build uncompromising unity and resistance through spiritual renewal and revolutionary inspiration this Black August as we honor all those who have fought and died for our freedom and self-determination. "Settle your quarrels, come together, understand the reality of our situation, understand that fascism is already here, that people are already dying who could be saved, that generations more will live poor butchered half-lives if you fail to act. Do what must be done, discover your humanity and your love in revolution."